Weekend getaways, holidays and newlyweds: an ideal escape! Overlooking Baylys Beach on the west coast of Northland NZ, Sunset View Lodge offers one of the best accommodation experiences in the Kaipara and Dargaville. Named for the stunning views of the Tasman Sea, and the west coast sunsets, the Lodge offers guests a swimming pool, so you can swim laps before relaxing with a cold beverage and a view of the setting sun. Because Baylys Beach remains an undiscovered treasure, Sunset View Lodge is never overcrowded – in fact, it’s one of the go-to choices for those on weekend getaways, and that special first night when you have just married. 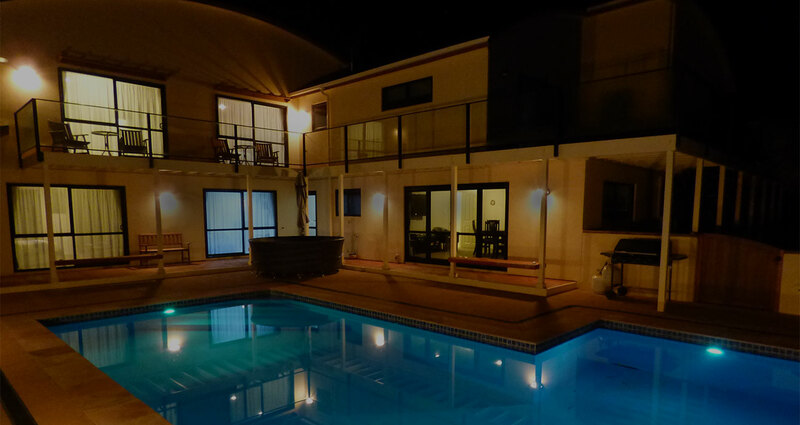 Our lodge is also ideal for those conducting business in Northland NZ who need a location both peaceful and inviting. 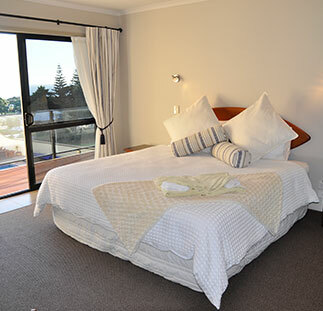 Offering amazing views of the Tasman Sea, the 3 top floor suites we have to choose from include breakfast, balcony with ocean views, modern ensuite and comfortable super king or queen beds. Cosy rooms looking out over the pool or surrounding rural farm lands. Includes breakfast, modern ensuite, free wi-fi and queen, super king or twin beds to choose from. Rollaway available if needed. 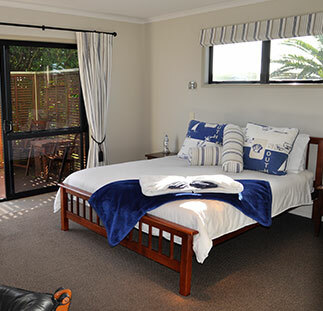 Perfectly positioned where green rural land meets the ocean, this outstanding Northland boutique bed and breakfast hotel is proud to be an ENJO green clean premises, certified for its minimal impact on the environment. Every room at Sunset View Lodge includes sea views and you get to watch the sun set over the Tasman Sea. Our bed and breakfast is perfectly positioned for a luxurious weekend of tourism and travel to the gems of Northland’s west coast.